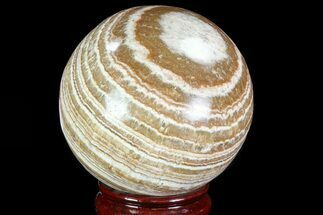 This is a beautiful polished sphere of banded aragonite, collected and polished in Morocco. 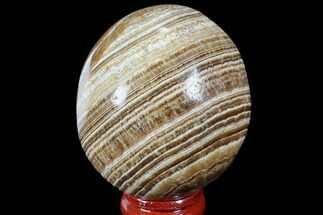 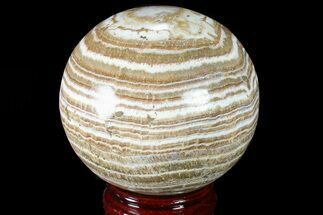 This sphere displays brown, tan, white and translucent bands of aragonite and likely calcite. 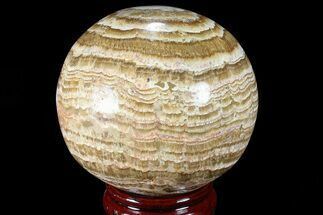 It is accompanied with a wooden display stand for aesthetic presentation. 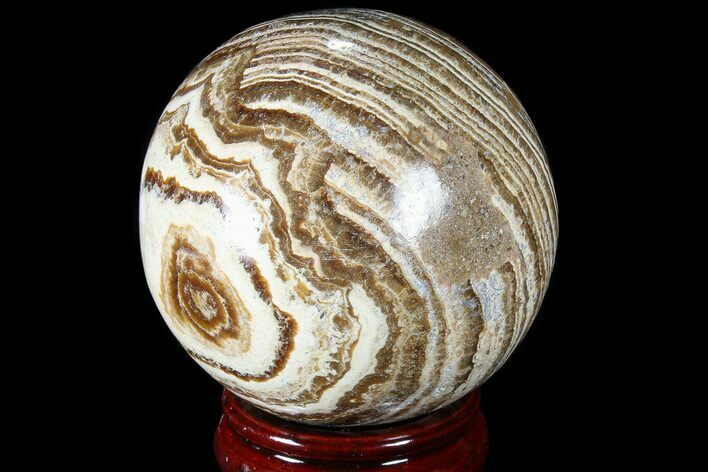 Aragonite is a carbonate mineral, one of the two commonly occurring crystal forms of calcium carbonate, the other form being calcite. 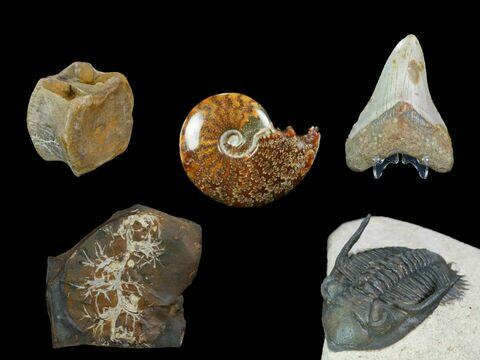 It is formed by biological and physical processes, including precipitation from marine and freshwater environments. 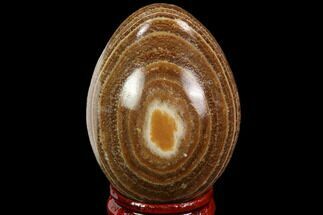 It's crystal lattice differs from calcite, resulting in a different crystal shape. 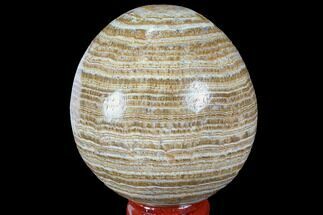 Aragonite forms naturally in most mollusk shells, and as the calcareous endoskeleton most corals.